What does ER stand for?? Well I guess it could stand for several things. On Sunday afternoon, I was staying with my mother in law and we both took a tumble. Thankfully my mil is fine but I ended up taking a little ride in an ambulance, strapped down like a cocoon, and payed my first visit to the Emergency Room. After several hours and some xrays, it was determined that I have a compression fracture of t11. So my friends, I will be out of commission for a little while. I am writing this under the influence of pain medication, but I don't think I will be able to sit at the computer for any length of time. Please remember me in your thoughts and prayers for a speedy and complete recovery. I love hearing from each of you but if I do not respond to your comments, you will know why. Let me know what you are up to, as I am able to read my emails and comments on my iTouch. This is Vintage for sure! This is NOT my Vintage thingie, but when my hubby and I were out last week, we saw this little beauty parked in a parking lot. My hubby thinks it is probably from the 1930''s. Can you imagine driving this to the local grocery store?? 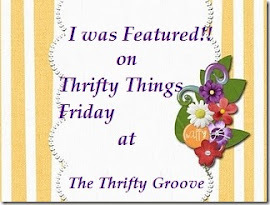 Please join me and visit the other great vintage thingies at Coloradolady's Vintage Thingie Thursday. Join me at Outdoor Wednesday. So many lovely places to visit. Back a few weeks ago I shared where we were going with the fireplace in our new home here. So I thought I would update you on the completed project. The next step - finding a mantle we liked. New tile and a paint job. I am linking up with Metamorphosis Monday. Check out the other amazing transformations. .......... on a rainy afternoon? As we have been packing up for our move, I've come across several vintage things that I've always loved. Case in point is this blue breakfast set that I found at an antique mall in Georgia. I fell in love with this set the moment I laid eyes on it. It is made in England and has all the components for a lovely breakfast. Cereal bowl, covered dish, egg cup, cup and saucer, coffee pot and creamer & sugar. Please join Coloradolady for Vintage Thingie Thursday. So many lovely vintage things to see and enjoy. Sit back and relax and enjoy a little bit of shade. Please join me at Outdoor Wednesday and Live and Love .... out Loud and Wordless Wednesday. How precious also are Thy thoughts to me, O God! It is always fun to participate in Vintage Thingie Thursday. With our move, I have not had a lot of time to really show some of my fun finds. But today I thought I would share these cameras that my daughter has collected. I know she has several more, but these were the only two that I had captured recently. 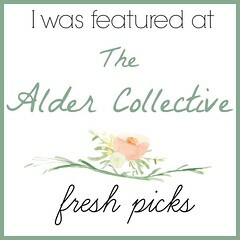 Please be sure to stop by Coloradolady's blog and visit the other fun Vintage Thingies. Please check out Outdoor Wednesday and Live and Love....out loud. On another trip to my favorite store "Southern Hospitality" new fun vignettes were on display. I think this was my favorite one. It's so fun to shop at Southern Hospitality. Not only do they have accents for the home, they also have floral supplies and pretty reasonable furniture. Creativity abounds!